The front cover of Anya’s Ghost has Neil Gaiman hailing it as a masterpiece. The back cover continues with praise, calling the book “really sweet, really funny, and really scary.” One might be skeptical that a book could simultaneously be sweet and scary but Brosgol manages it. 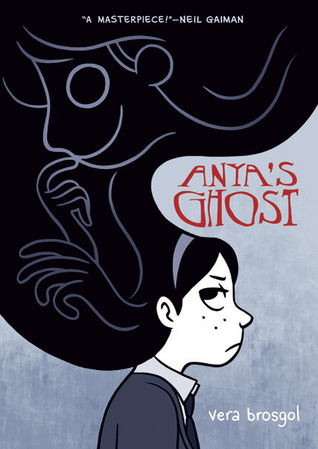 Anya’s Ghost is the story of a Russian immigrant, Anya, who has done everything she can to distance herself from the embarrassing label of being a “fobbie” (fresh off the boat). She’s struggling to fit in at her high school, in love with the coolest guy in class, worried about her body, mortified by her family, and just overall struggling. One day, Anya falls down a well and becomes trapped for two days. 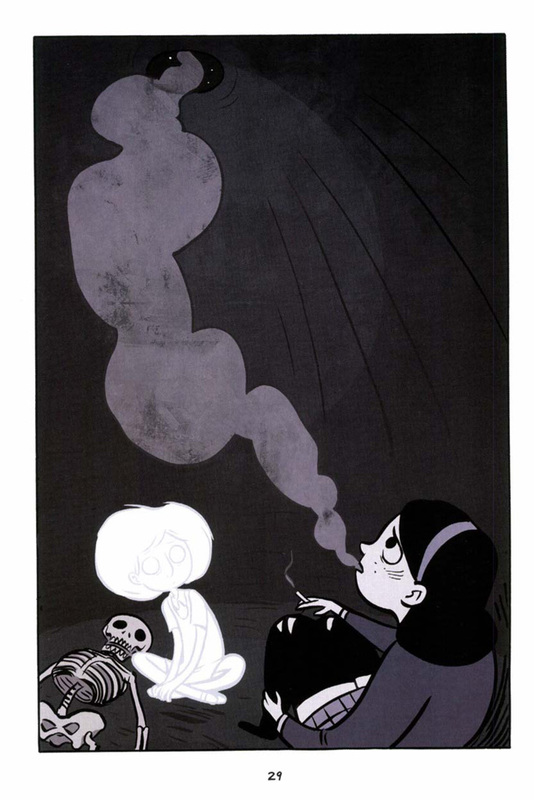 While in the well, she discovers the skeleton of a girl about her age–and the accompanying ghost who just wants to be her friend. 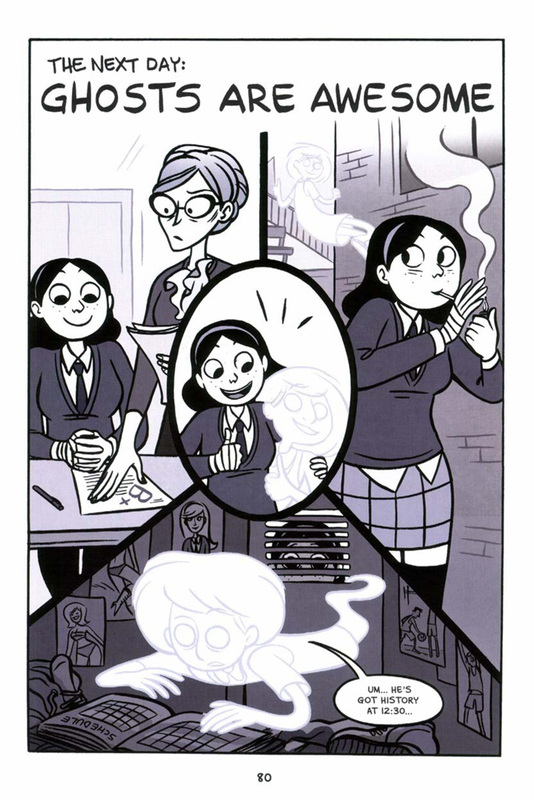 This ghost, Emily, is eager to help Anya fit in. She helps her in school, gives her advice on how to get more popular (and more importantly, get the guy). Unsurprisingly, however, all good things come with a price. Anya’s Ghost could be called a coming of age story, the typical arc of a girl going from being embarrassed about her family, her life, herself and coming to appreciate it all by the end. It was predictable in that, but somehow comfortable. 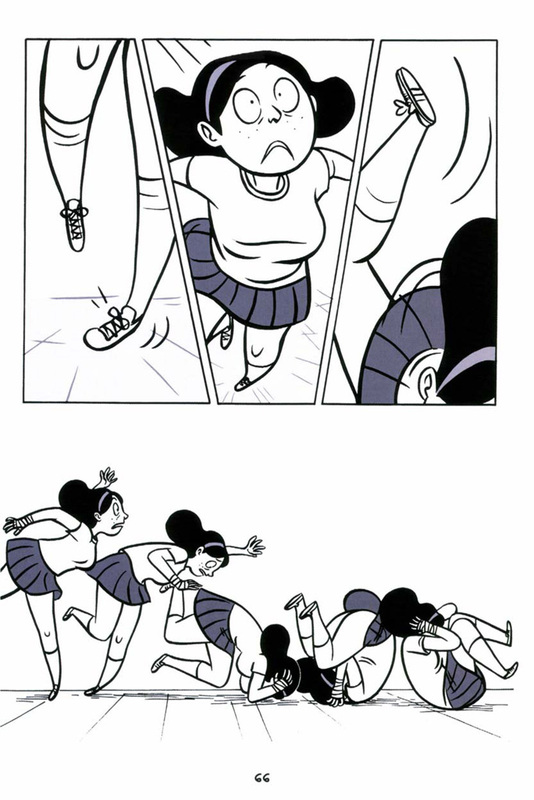 (After all, it’s a YA graphic novel and that’s something plenty of kids can identify with). It’s cute, funny, smart, and yes, pretty damn scary at some points. 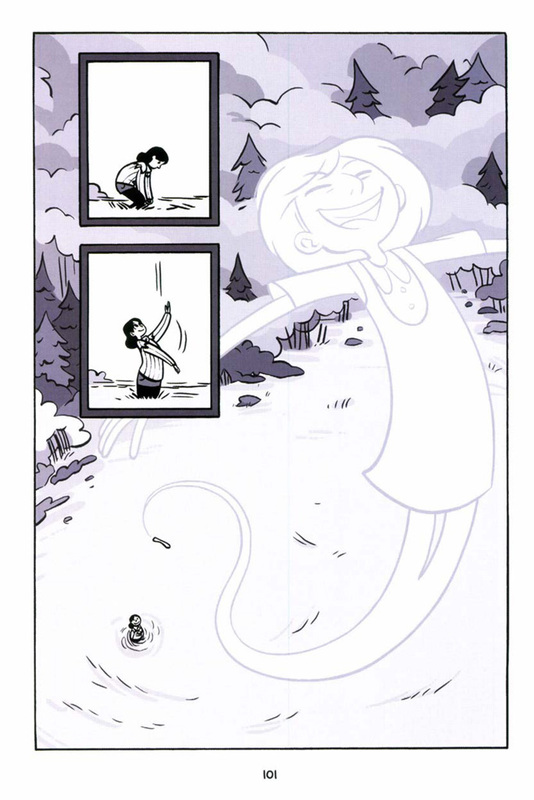 It gets at the real complications of growing up (and I don’t mean befriending ghosts) and is much deeper than the after school special moral tale kids often get pushed on them. Brosgol is as much a clever artist as she is a writer, too, with a strong grasp of the medium. Her characters are cute and she is great at portraying emotion. The gentle purple wash over everything is sweet or creepy depending on the page and the encapsulation of time is clever and easy to follow. It’s not really a secret that this is a good book–it won the 2012 Eisner Award for Best Publication for Young Adults (Ages 12-17)–but I was pleasantly surprised at how good it is.